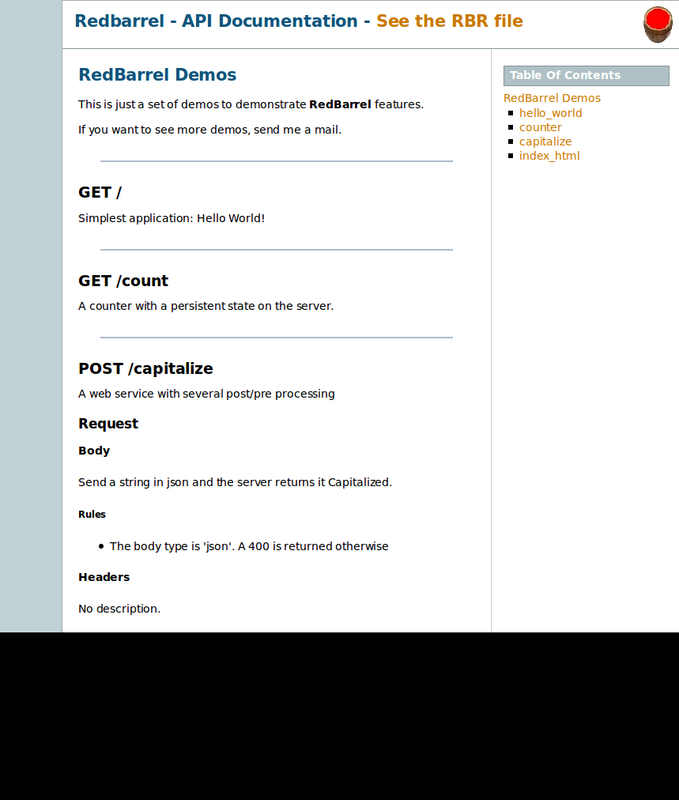 Anatomy of a Web Service, part 2 - "RedBarrel"
I was talking about web services the other day: read it back as an introduction to this post. I am pursuing this DSL experiment as I have now finished a working prototype of a micro-framework. I've called it RedBarrel (Monty reference). I've called the DSL files "RBR files". Here's an example of a web service, that capitalizes the string you sent to it -- and requires authentication and json input. The one thing I am not entirely sure about yet, is if I want to provide helpers to instantiate some objects in memory when the server starts. That's useful when you want to keep a DB connector open or simply avoid initializing many things on every request. But that's very easy to implement with global variables... Maybe an "application context" could be created, for some functions to add objects inside. Anyways, I've started to re-write a few web services to see how the DSL fits, and so far it looks useful: I have reduced a lot the boiler-plate code and the API is self-documented. The code is still at Bitbucket and I am looking for some feedback or other people that are writing web services that want to experiment with it !